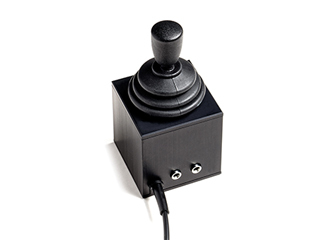 A very compact, robust USB joystick which is ideal for use with mounting systems, particularly when operated by the user’s head or chin. 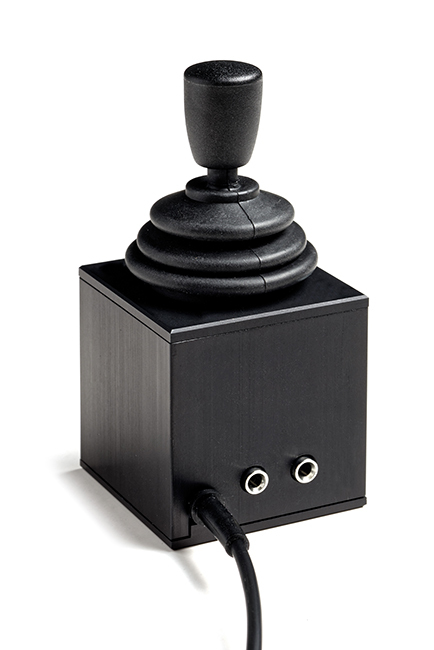 The body of the joystick, including the threaded mounting holes, are made entirely of metal, making the unit extremely robust. 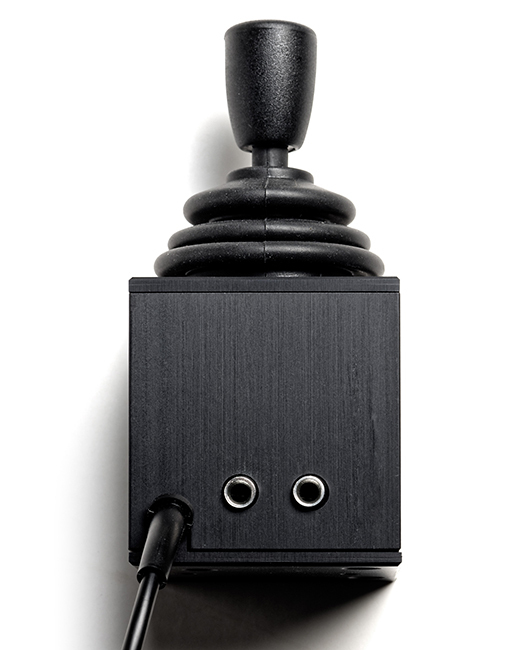 Two 3.5mm sockets allow any type of switch to be used along with Ultra Joystick and the function of each of the switches may be programmed to be any combination of left click, right click, double click or drag. Alternatively, for users who find switch use difficult, a Dwell Click function can be programmed to allow Ultra Joystick to be used entirely without switches. Four cursor speed settings are available and all settings are stored in non-volatile memory and are recalled each time the unit is powered on. As with all Pretorian USB products, no drivers are required making installation straightforward, especially with agency managed computer systems. 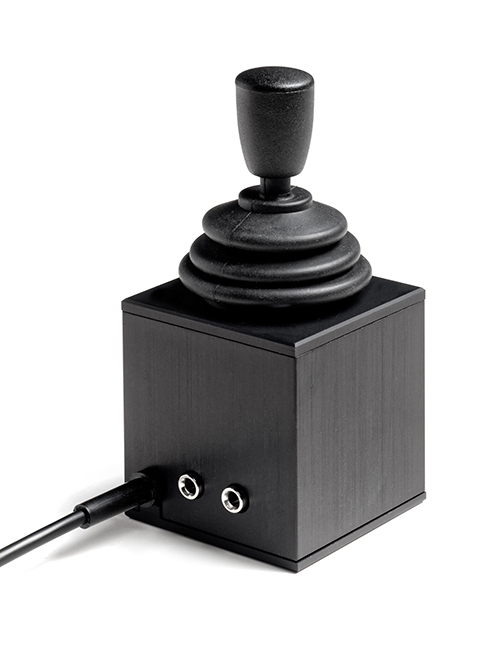 Ultra Joystick ships with a variety of interchangeable knobs. Dwell Click function offers the possibility of using without any switches.